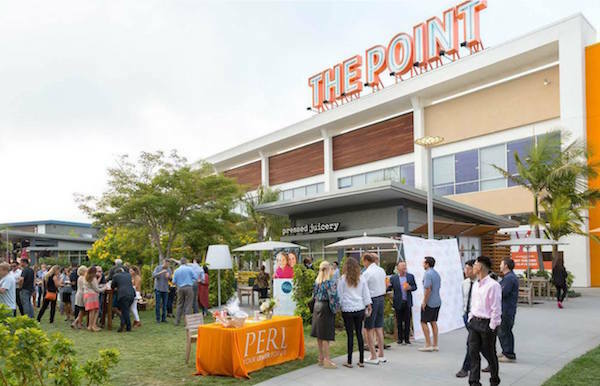 When Russell Hossain, SVP and Chief Business Development Officer of PERL Mortgage, was planning a Grand Opening event at their new office location in El Segundo, he knew exactly for which organization he wanted to give back. Having been involved with Walk With Sally since 2009, Russell had always felt connected to the mission of helping kids impacted by a loved one’s cancer. “I saw how these kids can get left behind by circumstances” Hossain says and he knew he always wanted to work with Walk With Sally to make sure these children had a mentor and a support network to allow them to just be a child for a bit. That’s why when asked, he joined Walk With Sally’s Board of Directors. It’s also why when he was joining the PERL Mortgage team, not only did he know it was the company for him, he knew it would be a perfect opportunity to partner the two. PERL Mortgage is a family owned national lending company with mid-west values. With a philosophy of giving back to the communities they live and work in, they have been in business and giving back for over 24 years. They have 6 other offices in Southern California; Temecula, Claremont, Seal Beach, Santa Monica, Century City and La Brea. When they decided to open in the South Bay, Russell introduced them to Walk With Sally and they were all in. Since before they even opened they sponsored our White Light White Night annual fundraiser and have done so for the past two years. In addition, they helped to match donations in our Friends of Sally monthly giving campaign and this year during their Grand Opening at The Point they also raised almost $1,000 as well as awareness for Walk With Sally. “With their help, not only does Walk With Sally have a valued supporter but a partner in our community year round. That kind of support is so crucial for any nonprofit organization.” Says Michele McRae, Development Director of Walk With Sally. “We really wanted to embrace the South Bay and Walk With Sally seemed to be the perfect fit. What could be better than supporting these children and families through one of the toughest times in their lives?” Says Hossain. This entry was posted in Businesses Give Back, Uncategorized and tagged 2017, Businesses Give Back, corporate giving, event, PERL Mortgage, Sponsorship.